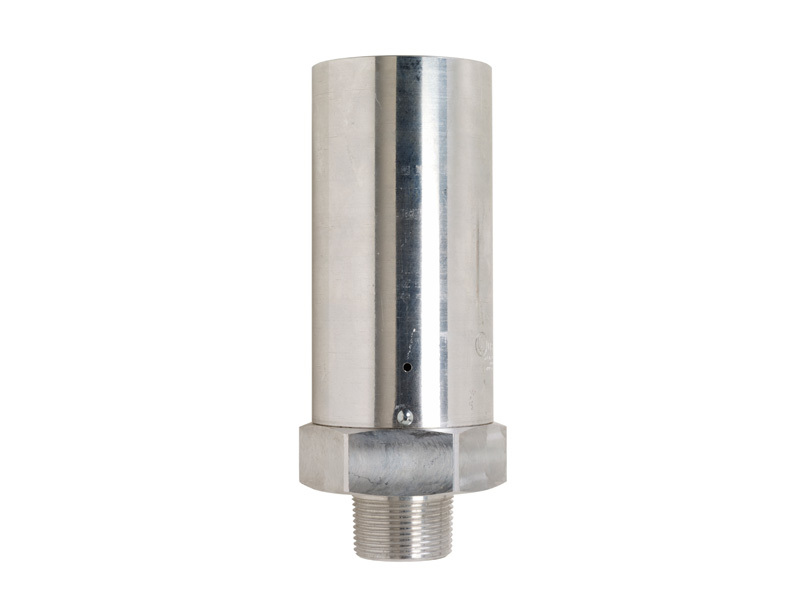 Continental NH3 (Anhydrous Ammonia) safety relief valves are designed for installation in the vapor area of anhydrous ammonia containers for agriculture use. Their function is to open and relieve the pressure when it exceeds the designed working pressure of the container. 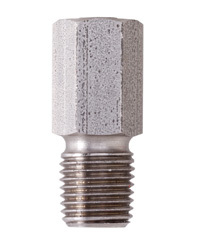 Continental's safety relief valves are commonly referred to as hydrostatic valves or pressure relief vales. 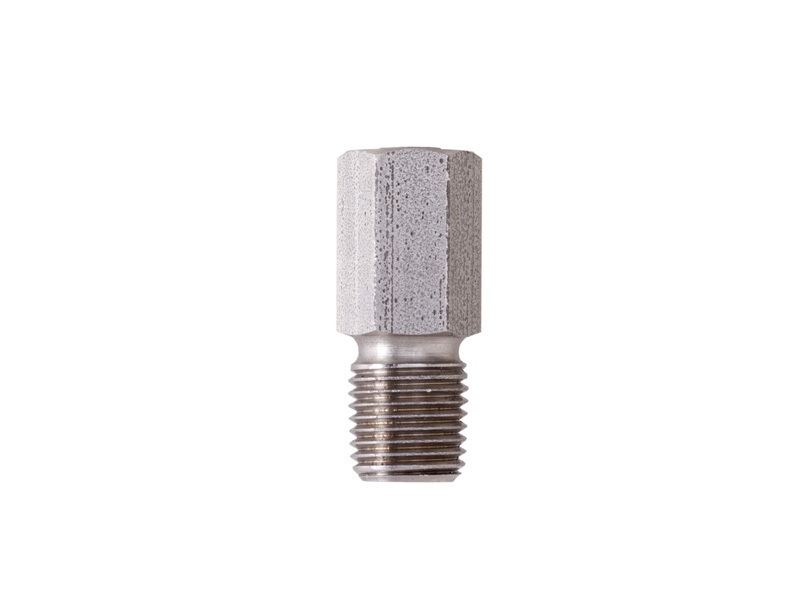 Our safety relief valves meet the requirements of the ASME Boiler and Pressure Vessel Code (Section VIII Div. 1). Pressure relief valves and safety relief valves allow for pressurized fluid or gas to flow out of the system. These valves are used to prevent various equipment and other gas systems from exceeding preset pressure limits. The valves are set and scheduled to open at a predetermined pressure level that relieves the build up and allows for an alternate route by which the liquid or gas can exit the system. Once the pressure levels return to an ideal PSI, the valves reset. It’s important to note that there is a difference in pressure and safety relief valves. General pressure relief valves have a lever that can be used to manually open the valve, where as the safety valves do not. Note: All safety relief and hydrostatic relief valves must be changed five years after date of manufacture. Catalog No. A-402-VA 3/4" MPT Safety Relief Valves are designed for use on nurse tanks and small applicator tanks. They are constructed with corrosion resistant aluminum, stainless steel spring, and a special synthetic rubber seat. Catalog No. 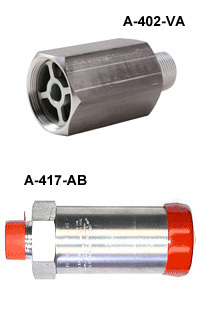 A-417-AB is a 1-1/4" MPT Safety Relief Valve designed for use on large containers which require greater relief capacity. The body is of corrosion resistant aluminum. Coated steel springs and a special synthetic rubber seat. Click product number to view product. Part Number Inlet/NPT Wrench Size Overall Height Set Pressure SCFM U.V. SCFM U.L. 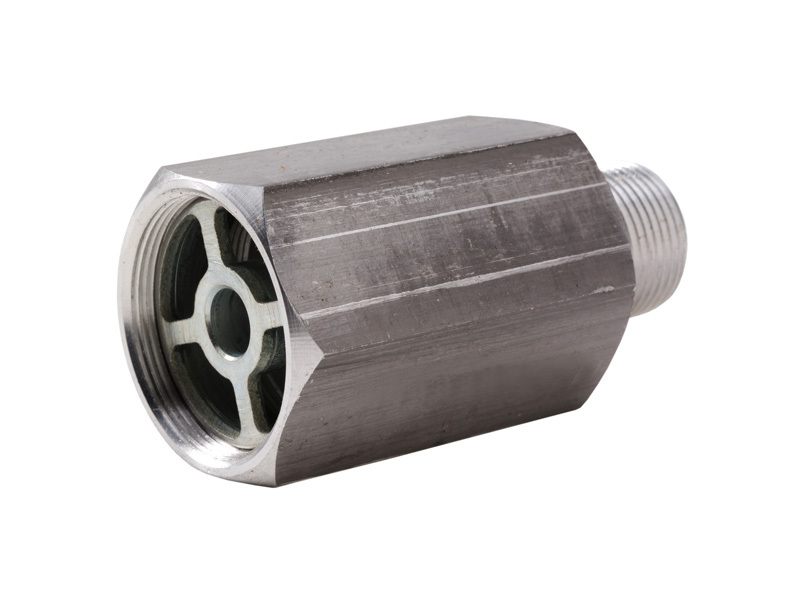 Hydrostatic Relief Valves are designed to relieve liquid pressure in valves, hoses or piping wherein liquid may be trapped.